The CAF had planned a BBQ and day of fun for this nice March Saturday. 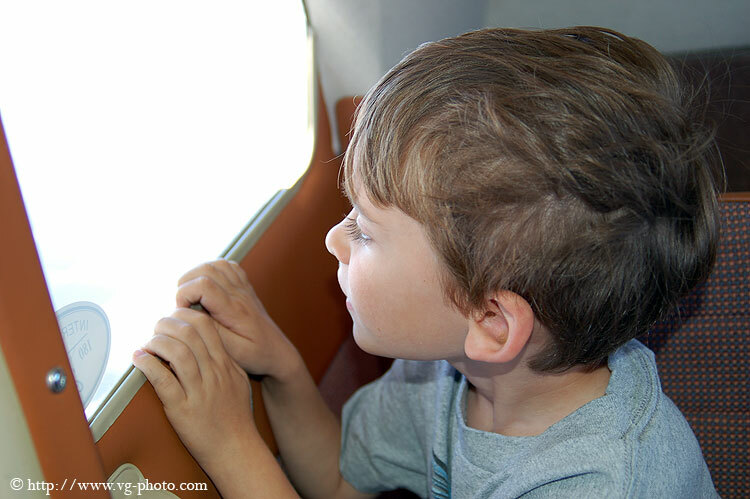 Since my son has developed quite an affinity for airplanes (I swear, I don't know where that comes from! ), I decided to take him along for a day at the CAF. We arrived in the late morning and were walking around the ramp in front of the CAF, checking out the planes and watching the normal GA traffic coming and going. 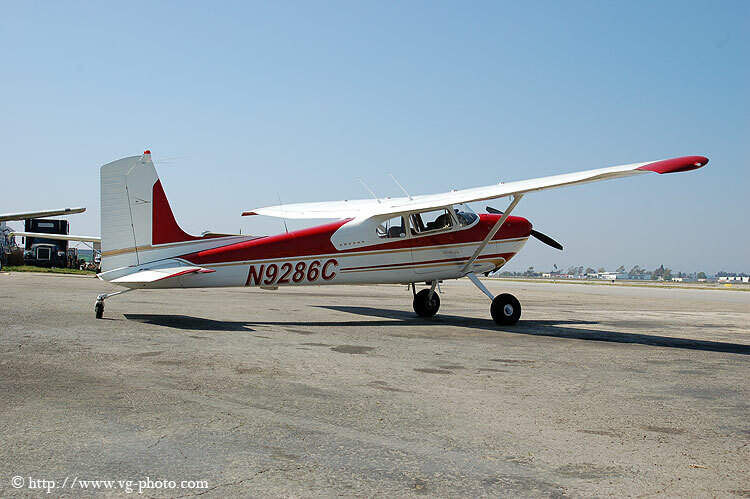 Friend and fellow CAF Colonel, Bob Goubitz had flown his Cessna 180 in to join in the fun and asked us if we wanted to go for a ride. I have known Bob for years and knew that it would be a great opportunity for Jacob to experience his first flight. I asked him if he wanted an airplane ride. He said yes, so Bob and I got Jacob strapped into the rear seat of the 180 and I climbed in the right seat. Jacob strapped in the 180, ready to go. Bob ran through the startup procedure and readied us to taxi out to the warm-up area. 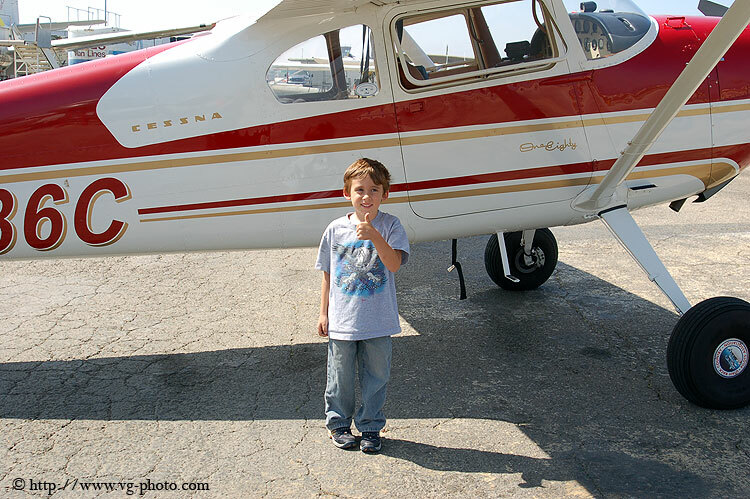 Jacob looked around at the other airplanes as Bob ran through the checklist and warmed up the oil. We saw a Piaggio P-180 taxi toward us. 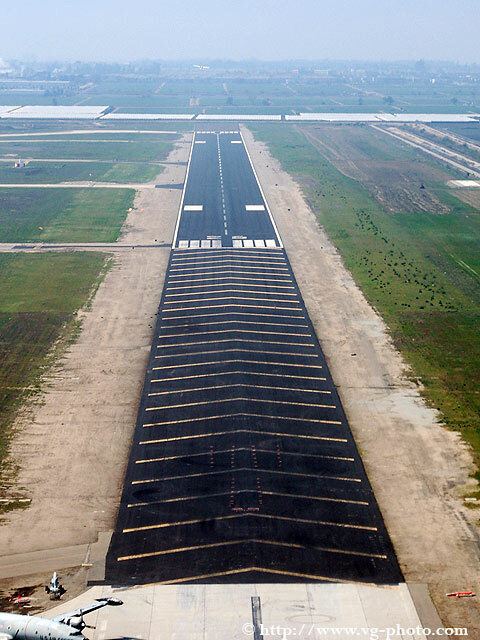 A Piaggio P-180 on the taxiway. 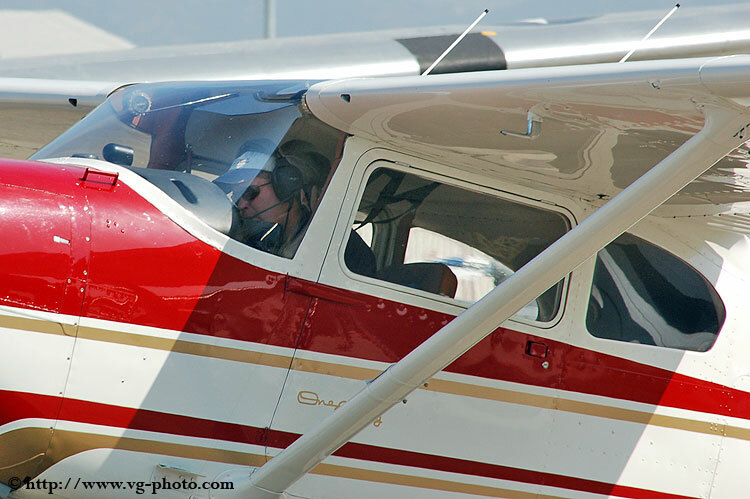 With the checklist done, we taxied out to the runway and Bob applied power to the engine. I glanced back at Jacob and asked how he was doing. He looked a little apprehensive at first, but he was looking around and taking it in. 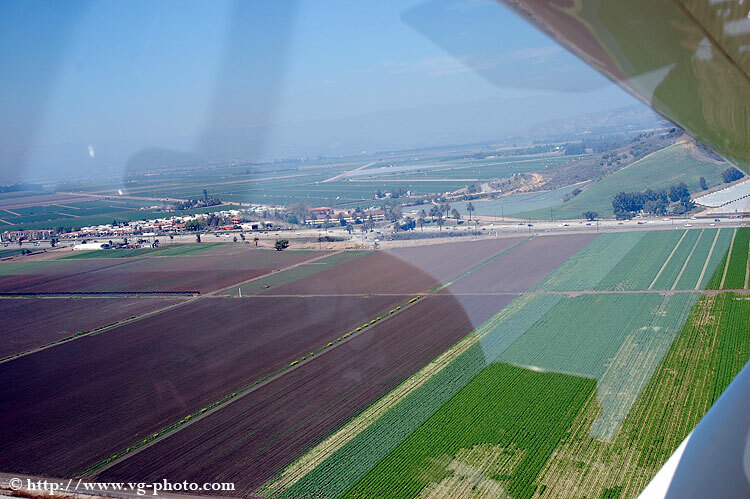 Once we got off the ground, Jacob could see the 101 freeway. He said "Wow, look at all those cars down there." At that point, I knew he was going to be fine. Just after takeoff. 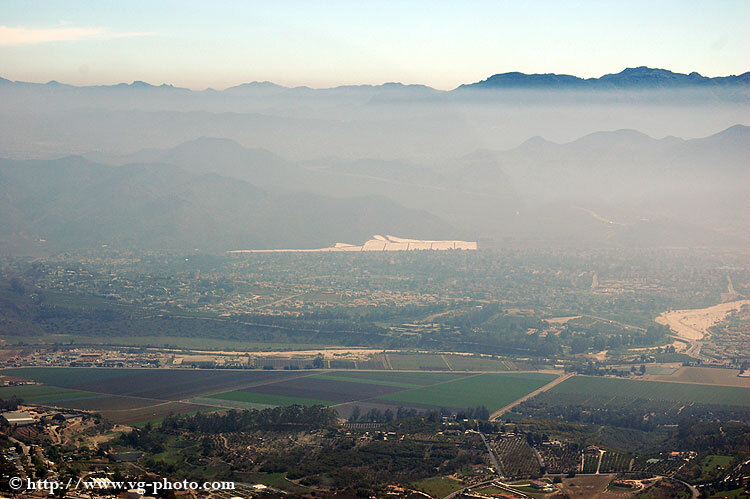 The 101 freeway is clearly visible. The sun was shining nicely and the air was very still for the flight. 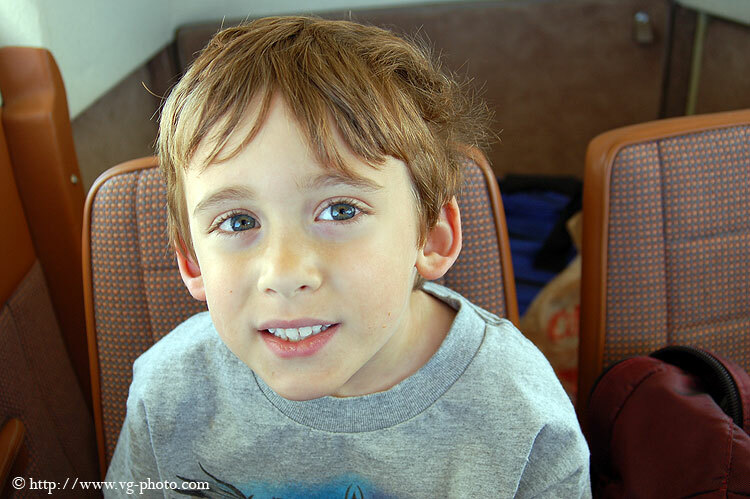 It was a real smooth flight, which made Jacob's first flight a nice, easy ride along. There was a bit of a marine layer, which made for a little haziness, but it was still a nice flight. Here are some shots of the ride. 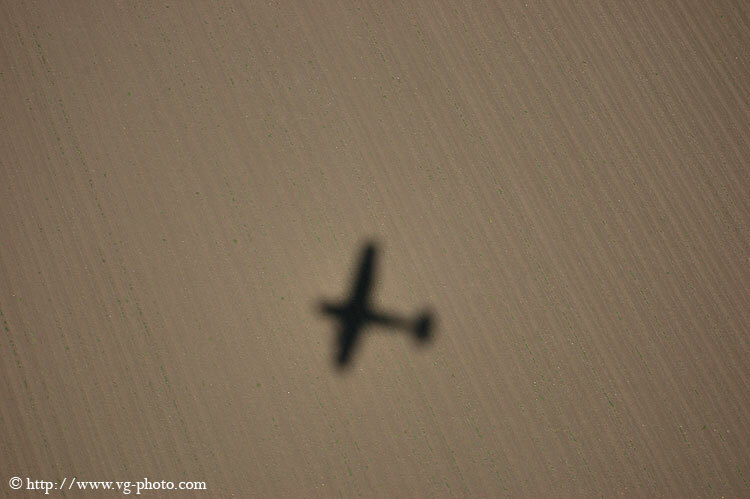 Our shadow over the fields of Camarillo. 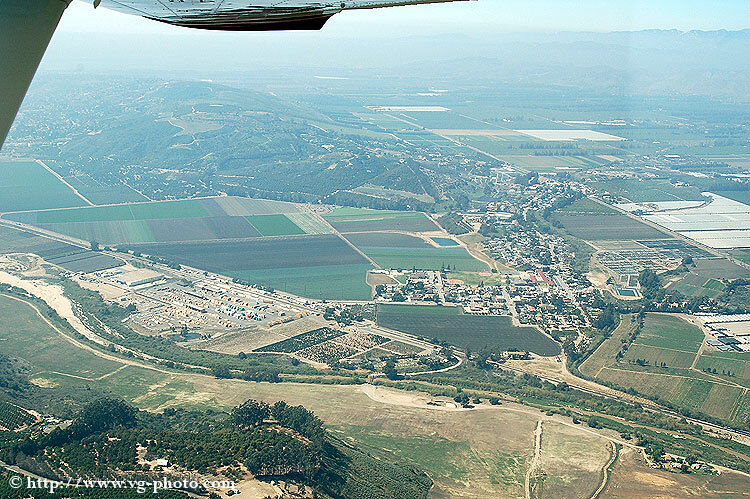 More of Camarillo from the air. Jacob takes in the scenery from the air. He was really enjoying this! 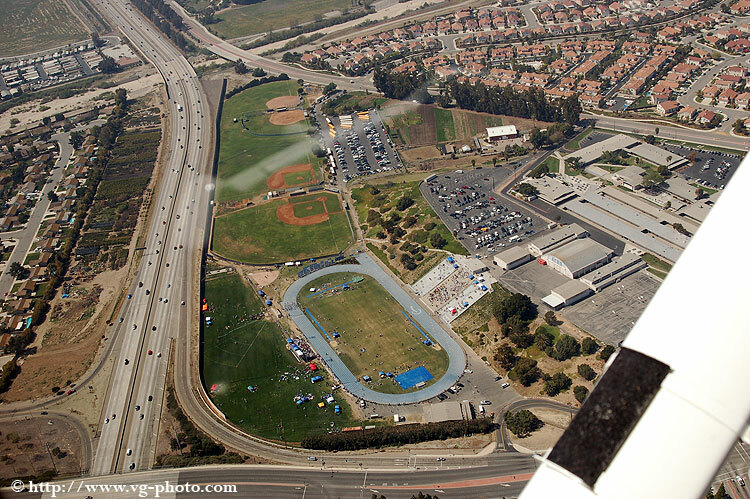 Camarillo High School, as seen from the air. 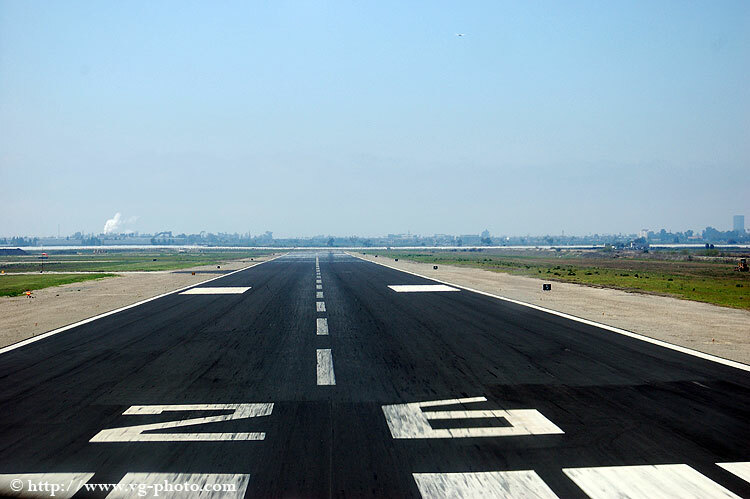 On final approach to runway 26. Wheels almost down to earth again on runway 26. Back on terra firma, Jacob gives a big thumbs up after his first trip to the sky. A big thanks goes out to Bob Goubitz for taking us up in his airplane for Jacob's very first ride. I can't think of a better experience for Jacob than a nice, smooth flight on a nice March day. And for the record, I really enjoyed it too! Thanks Bob! 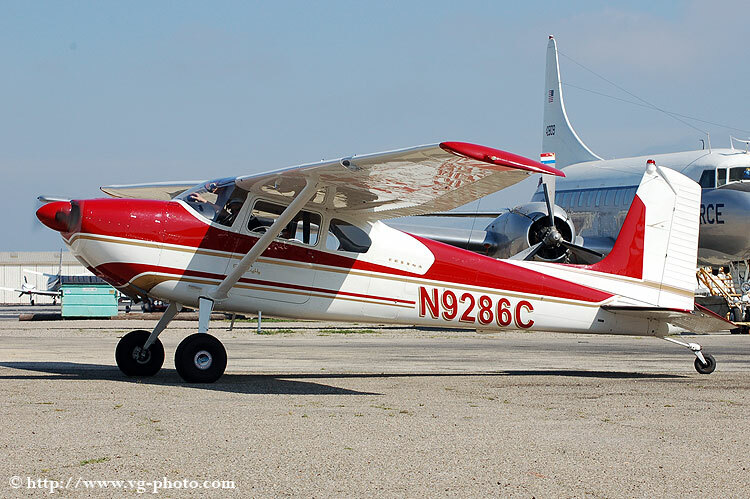 Here are a couple of pictures of Bob's beautiful Cessna 180.